Alvecote Wood is located on a Parish Boundary, and as such is likely to have been relatively unchanged since such boundaries were drawn up. 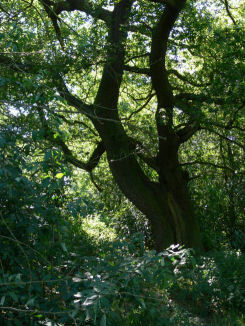 Classified as Ancient Semi-Natural Woodland, Alvecote Wood has by definition been a woodland since 1600. We have done our best to learn of its history at least since 1900 by consulting old maps and by talking to local residents who remember its use for various activities in years gone by. We have also been fortunate to obtain a lot of papers tracing its ownership. It is located near the historic site of Alvecote Priory, and near the many former collieries in the Tamworth area. This section of the web site details what we have been able to discover about its ownership and use over the years. 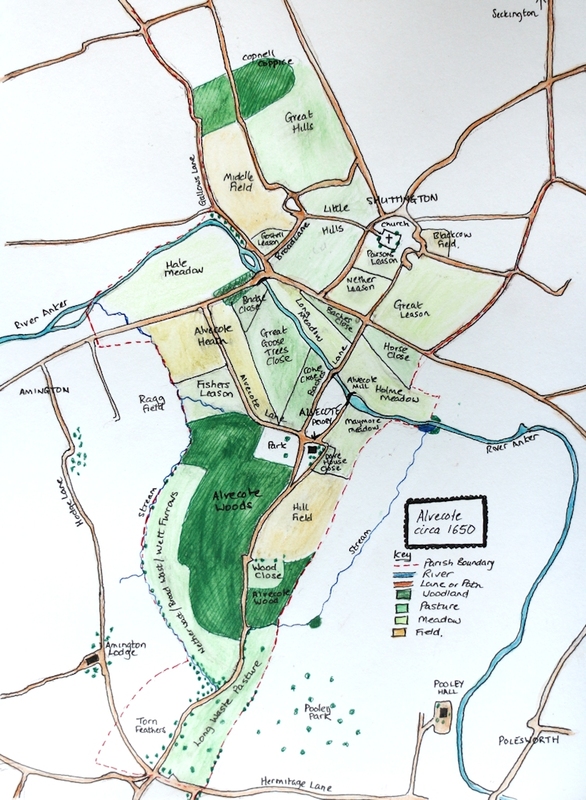 We have also been able to reconstruct what the woods and surrounding area looked like in 1650 - read about our reconstruction of the land around Alvecote Wood in 1650 and view the map of the area at that time. There are details on how we researched the history on our blog (opens in new window). We are particularly grateful to the vendor's solicitors for sending us documents relating to previous ownership of the site, to local residents who remember the usage of the site over the years, and to Les Armstrong, a local blacksmith who remembers shoeing horses at the wood. We also found the Old Maps web site very helpful in identifying land use over the years. Warwickshire Museum holds details of archaeological finds on the site. We also found out a great deal about the history of the area from "The History of Alvecote" - a small green book by P Edden and H Jones published in 1968. If anybody reading this knows anything about the history of Alvecote Wood, we would be most grateful if you would contact us - we'd love to learn more.